Creating a solution to optimize feeding efficiencies and production profitability. ”That’s what prompted Trevor Lienemann, owner and entrepreneur of Lienetics Ranch to develop the Bextra Bale Feeder. 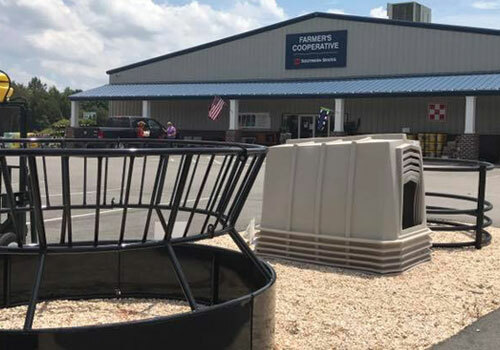 Being a CPA and Cattlemen, and knowing there had to be a more efficient way to feed cattle, and maximize hay savings, he began by designing the original cone hay-saving insert in the early 2000’s. It was a great improvement for the cattle industry over traditional ring-type bale feeders, but he didn’t stop there. Wanting to further improve the effectiveness, efficiency, durability and convenience, Trevor continued to develop bale feeding inventions and ended with the U.S. Patent No. 8,997,693 – the Bextra Feeder basket design. 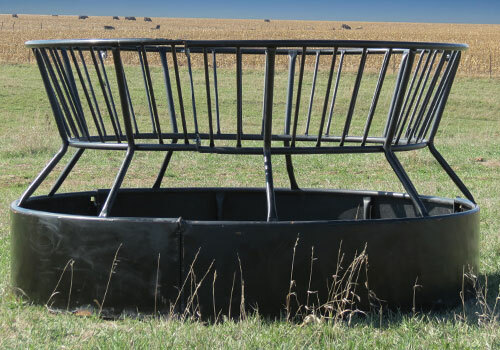 This new basket (modified cone) designed Bextra Feeder provides hay savings of up to 75 percent over conventional feeders and is much less costly and cumbersome than cone or chain feeders. Bextra is proven to be the best hay saver feeder on the market. Don’t compromise… Optimize for maximum profit! 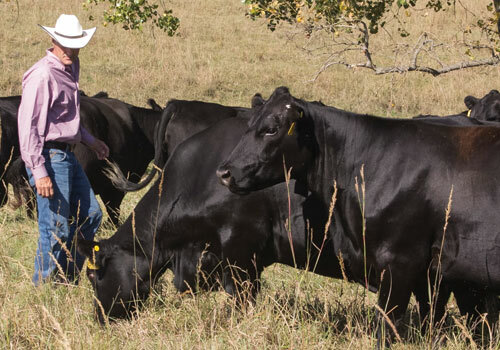 Trevor and his family are active Angus seedstock producers, commercial cattlemen, cattle feeders, and are passionate about positively impacting the beef industry. Together, they handle daily operations at Lienetics Ranch and Lienemann Management Productions, an innovative livestock equipment design and supply Company. Along the way, Trevor has conducted real-world product testing with his own cattle and customer operations under a variety of conditions with tremendous success of the Bextra Feeder. This practice helped ensure exceptional design, durability and ease-of-use. 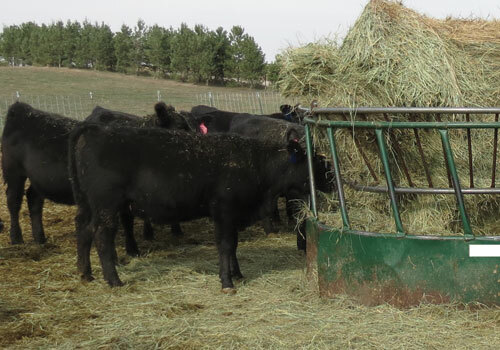 Additionally, Oklahoma State University has performed independent research trials, proving Bextra Feeder(modified cone) as dominant hay feeder for cost effectiveness.. Additionally, tens of thousands of Bextra Bale Feeders have been placed with cattlemen across the country with tremendous satisfaction. Bextra is the most cost effective investment you can make in your cattle feed operation today. The Bextra Feeder is proven as the most Convenient, Versatile, Durable, Efficient, Effective, and Economical method of feeding hay materials available to producers across the country today. Don’t Compromise…. Optimize for maximum profit! Click to Learn Why To Choose Bextra. Click to Find A Bextra Dealer. We invite you to contact us to learn more about our operation. Click the link below to view our contact information and fillable form to get in touch today! Locate a Bextra Dealer Near You!